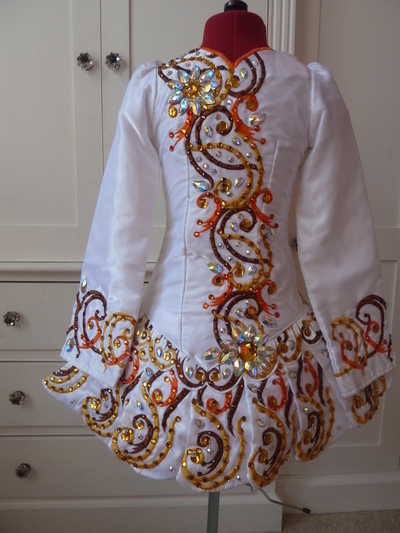 Gavin Doherty championship dress. Striking stage presence. 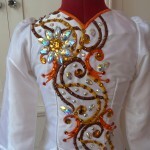 Made of twinkle satin and completely decorated in clear, gold and amber crystals including decorated sash at back. Smoke and Pet free home. Excellent Condition. Asking Price: €550. Shipping costs are included for my own country, overseas shipping is extra. Sale is final.